Go ahead, make my day. Just give me a reason. Hey, that dialogue worked for Dirty Harry. So what if I don't have Clint Eastwood's snarl or a .44-caliber Magnum to poke in anybody's face...to play Operation: Clean-streets again. Unlike Eastwood's character, Dirty Harry Callahan, I don't make my living behind a police badge. I make it behind a computer keyboard, reviewing software. When I'm done evaluating one program, I move on to another. There's seldom time to go back just for fun and play something that's already been reviewed. Reason 1: The concept behind Cleanstreets is intriguing, albeit not particularly innovative. You are Cleanup Harry, an undercover policeman assigned to rid your city of its drug-pushing criminal scum. To accomplish this task, you must first search the city's streets looking for these pushers. In some cases, they'll find you. Regardless of who does the finding, it will result in a hand-to-hand battle with the thugs. If you win, you might find some drugs on the punk. If you lose, the game is over. Cleanstreets consists of five levels, each of which requires you to capture and then burn a given quantity of drugs. The thugs get tougher and more plentiful on each level, although their hiding places and the city streets remain the same from level to level. The concept behind Cleanstreets is a good one because it's easy to understand, easy to start playing, but hard to master. Reason 2: The graphics and animation are excellent. The street scenes, for example, convey all the grit and grime of a real city's worst neighborhoods. There are battered trash cans, cracked sidewalks and graffiti-covered walls, all drawn in superb detail. The characters are also well-detailed. Among them are a chain-wielding punk with a mohawk haircut and a slasher wearing a hockey goalie's mask. Harry wears jeans and a bomber jacket. 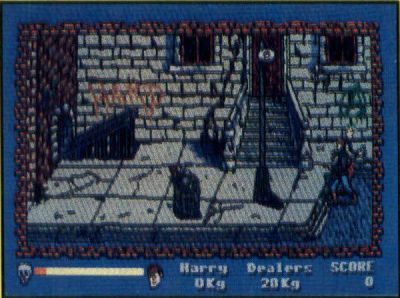 All of the characters move in any direction, although it's a bit easier to move Harry horizontally than vertically or diagonally. Despite that minor flaw, the animation is very realistic. Blows delivered during the fights are particularly well-done. When Harry throws a straight punch or a back kick, everything from the overall motion to the target's reaction at the point of impact looks real. Reason 3: The joystick interface ranks among the best of any fighting game available for the ST. It is simple to learn, easy to use and extremely responsive. Harry can only be controlled by keyboard or joystick. Put your mouse aside; you won't need it. But don't worry, you'll love using the joystick (the keyboard interface, which uses the ST's number pad, also works well, but I prefer the feel of the joystick in this game). To make Harry move around the screen, simply move the joystick in the corresponding direction. To make him throw any of six kicks or punches, hold the fire button down and push the stick in the direction that corresponds to the technique. For example, to make Harry throw a high punch and then a high kick, you would hold the fire button while pushing the joystick first to the right and then straight up. Harry can also be made to crouch or turn around when the fire button is held down. The joystick interface makes it easy for Harry to throw a flurry of kicks and punches. There are other fighting games that allow the use of more techniques, but none that operate more quickly, smoothly or intuitively than Cleanstreets. Reason 4: Attention to detail. There are little touches that individually may not sound like much, but together enhance the fun of playing Cleanstreets. 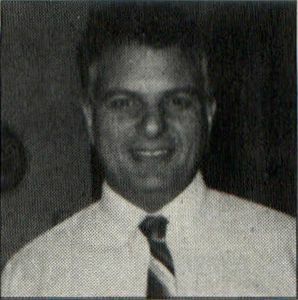 For example, the musical score changes from neighborhood to neighborhood as Harry roams the city. Not only is this more interesting than listening to the same sound track over and over, but it also gives each scene an ambience of its own. Cleanstreets' audio also contains some realistic sound effects. The growl of one thug's chain saw sounds menacing. You can actually hear the crack of another villain's whip as it lashes out at Harry. And while Harry's digitized moans and groans during a conflict can be a bit much, they help emphasize the tongue-in-cheek mood of the game. Unfortunately, even at its whimsical best, Cleanstreets has a few flaws that need to be mentioned. The most annoying problem was the brightness—or lack thereof—of the game screens. Cleanstreets may have been intentionally designed that way to give the city streets a murky feel. But I found it necessary to play the game with the lights turned off in order to increase contrast and reveal all of the details of the fine graphics. Another complaint is that although Cleanstreets is provided on two disks, it doesn't support a two-drive system. Playing the game doesn't require a great deal of disk-swapping, but why should you have to do any swapping if you have two drives? 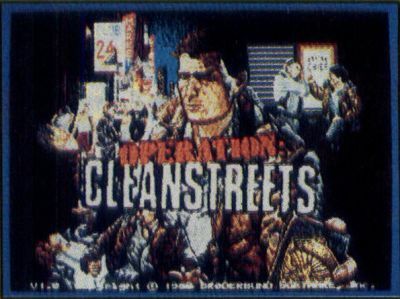 Cleanstreets also lacks an option that will allow a new game to be started where the previous one ended. You can, however, begin a new game at any of the five difficulty levels (without having had to complete the previous level). Finally, I must point out that my first copy of Cleanstreets appeared to be defective by freezing up a few times in the middle of a game. A Broderbund spokesperson said nobody else had complained of this problem, and the replacement disks she sent seemed to work perfectly. Under Broderbund's warranty, anyone experiencing the same problem could have their defective disks replaced free within 90 days of purchase. The useful life of some action game programs expires long before 90 days. But Operation: Cleanstreets' excellent graphics, accurate response and smooth animation should give it a longer life. If only the designers had anticipated my few complaints, they would have really made my day.